1.8 pieces of makeup brush set with purple aluminum. 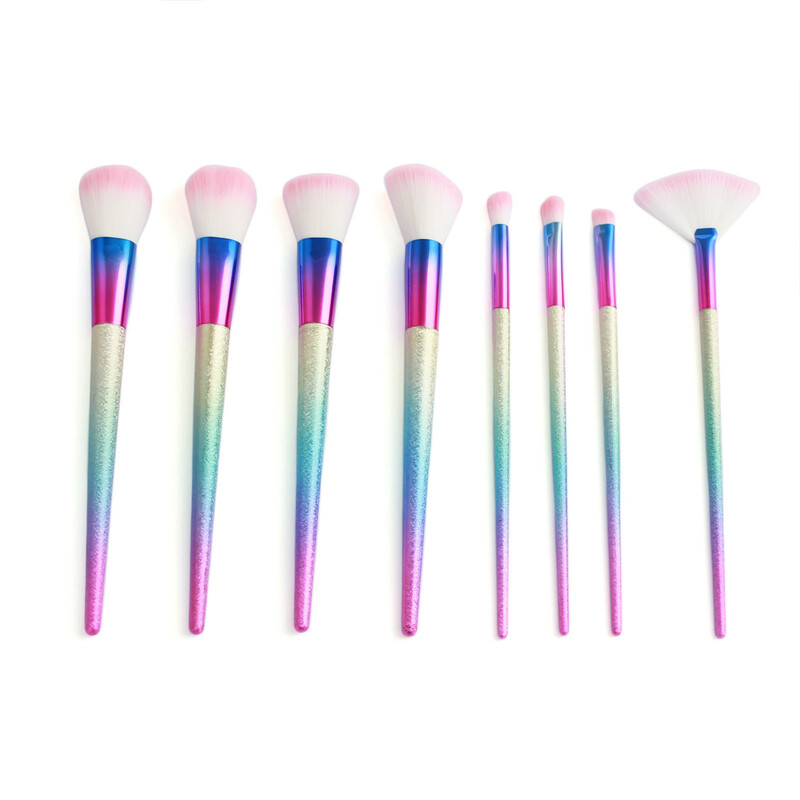 2.Environment -friendly, makeup brush set high temperature processing. 3.Makeup brush set with wood handle. 4.OEM design synthetic hair set Close to the skin. Express the makeup, accurate outline.